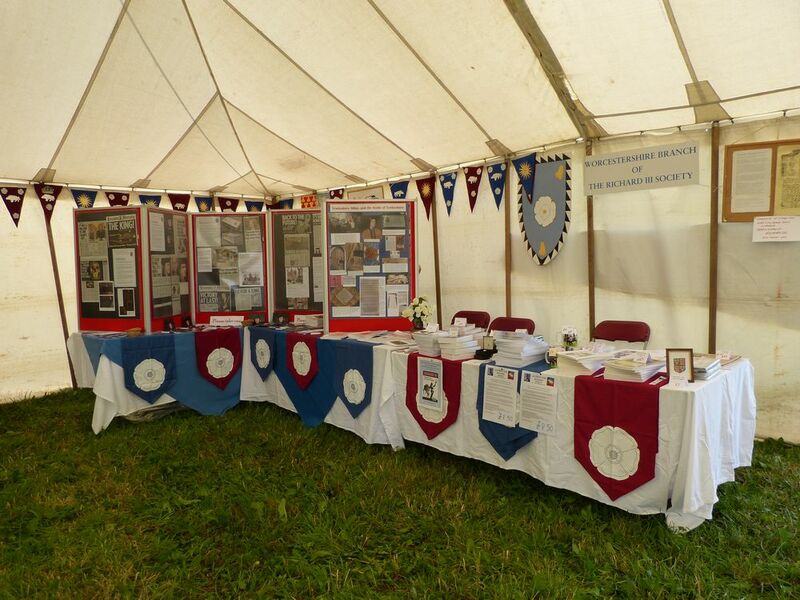 The Worcestershire Branch display in the second marquee, thanks to Steve Goodchild, Chairman of the Tewkesbury Battlefield Society. 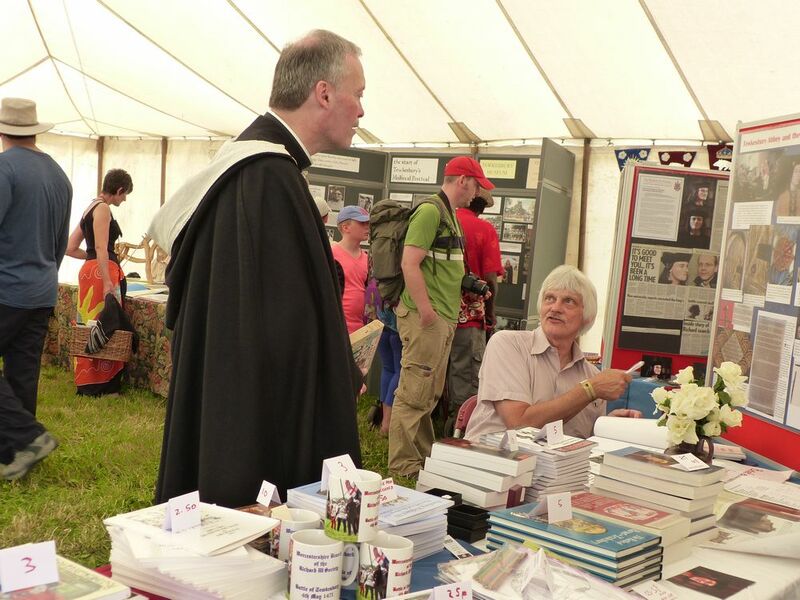 John Ashdown-Hill dropped by to sign copies of Finding Richard III: The Official Account. 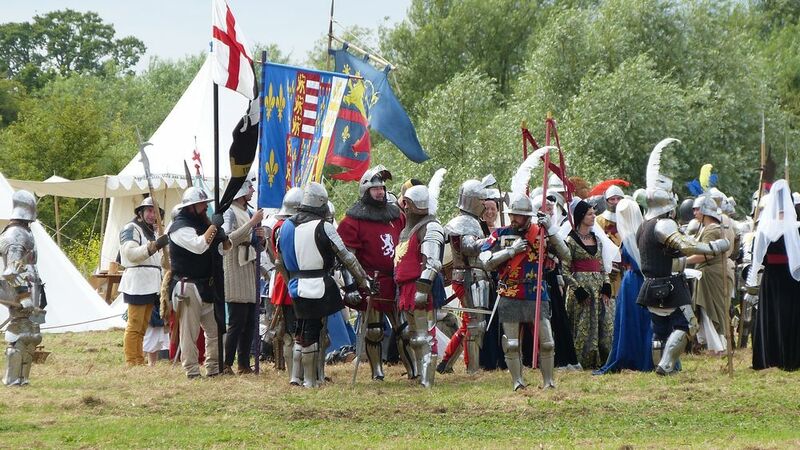 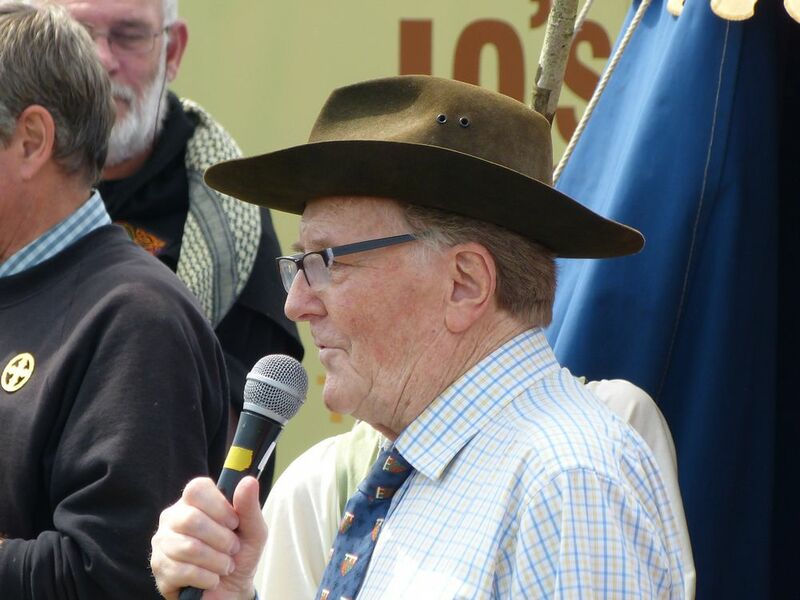 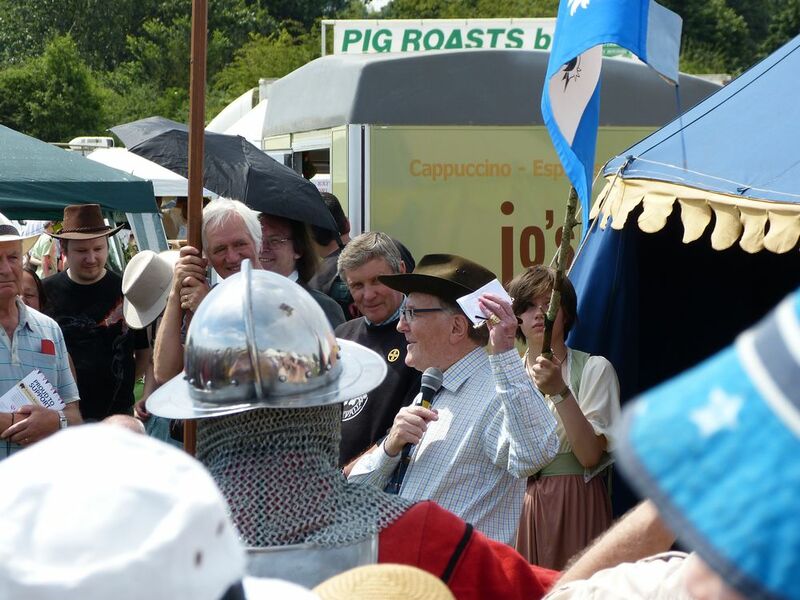 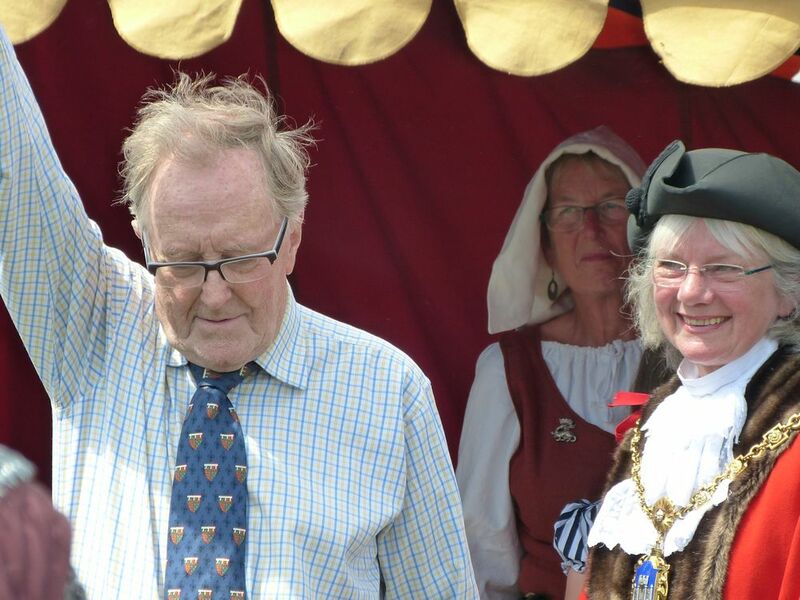 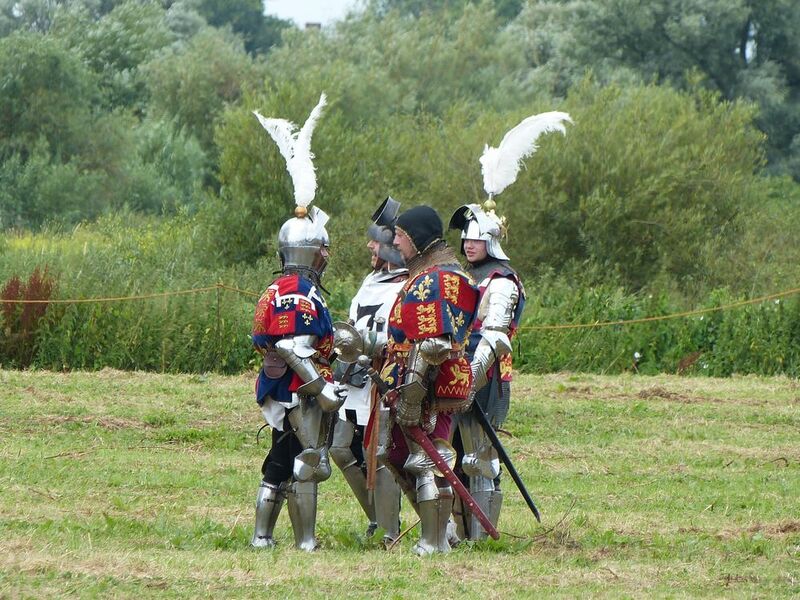 Robert Hardy opened the Tewkesbury Medieval Festival 2014. 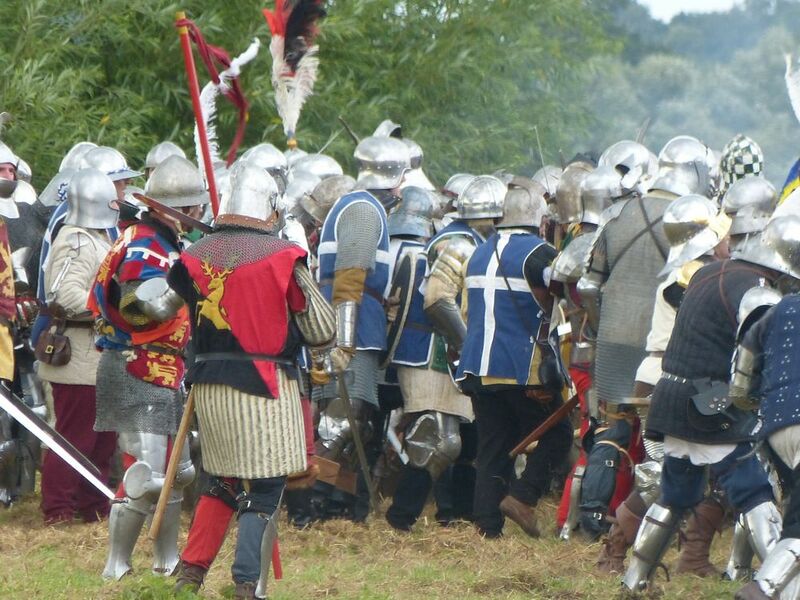 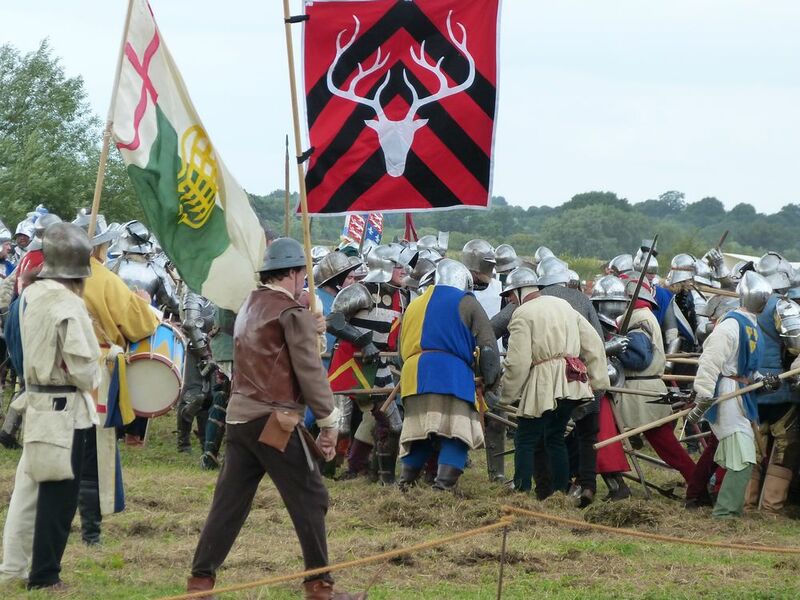 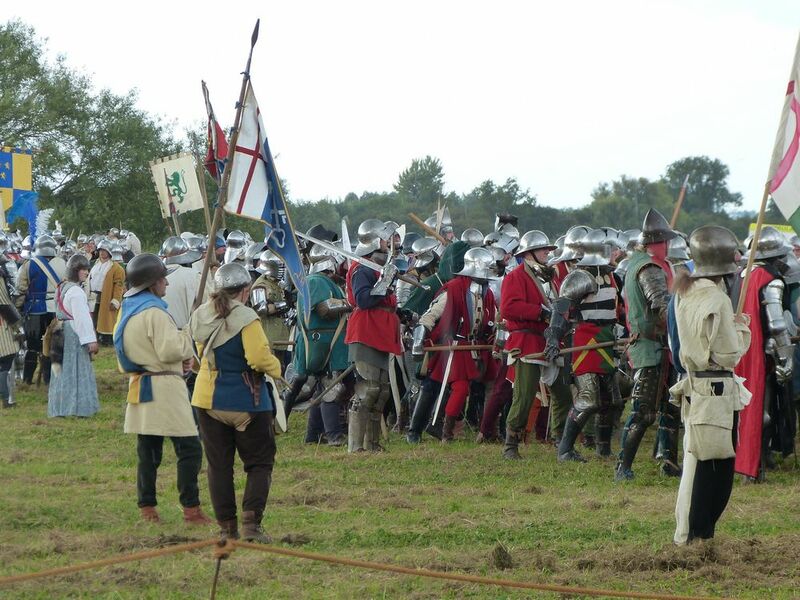 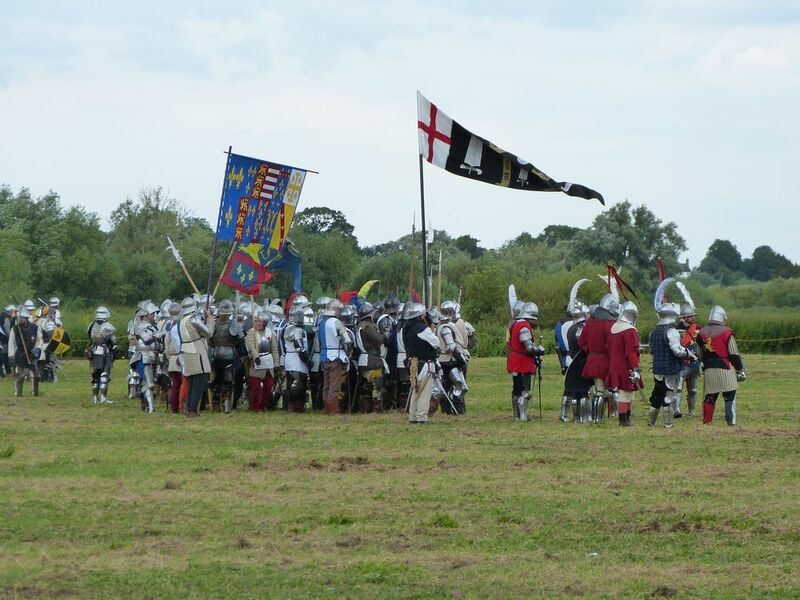 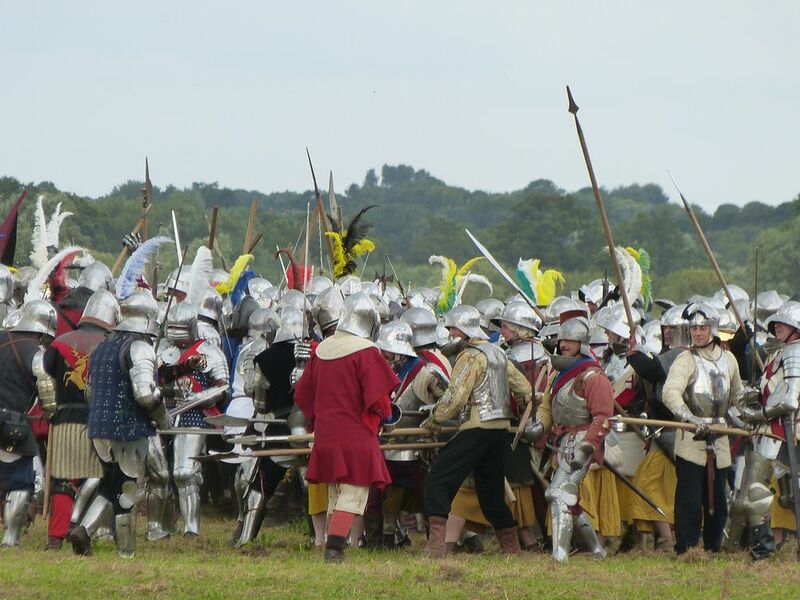 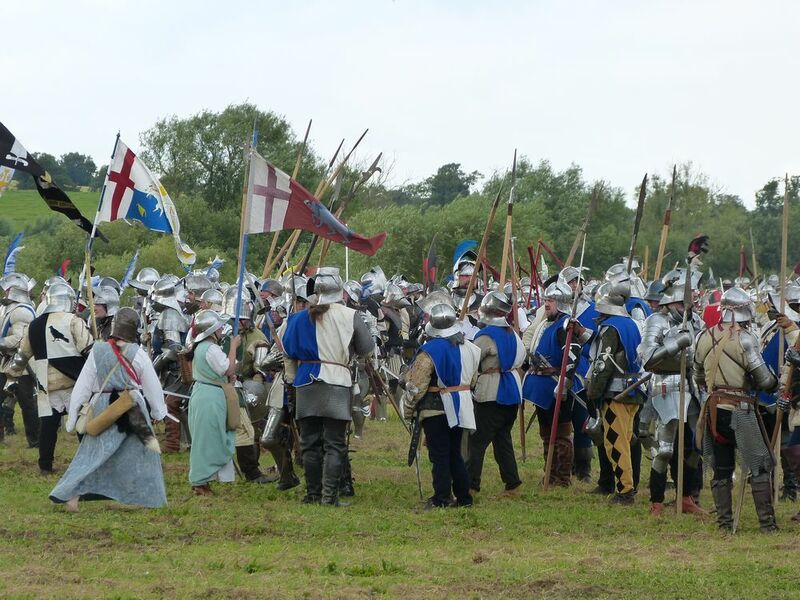 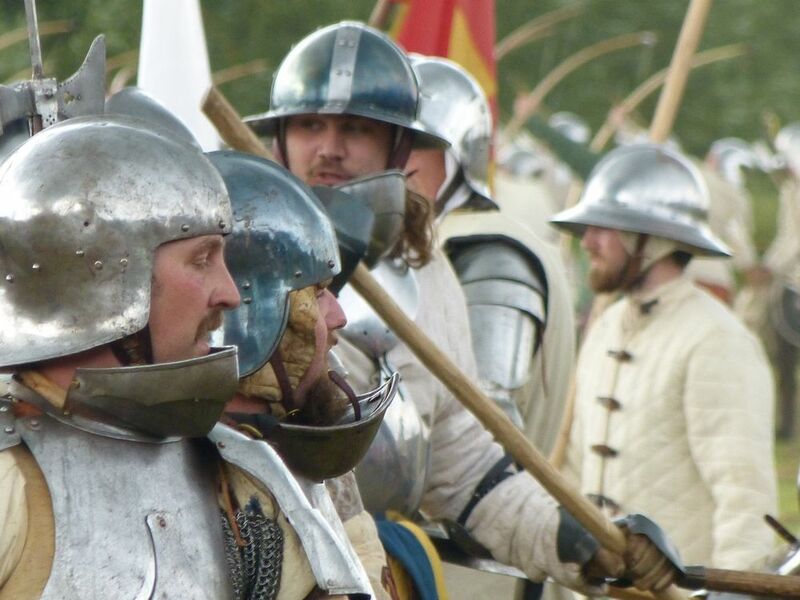 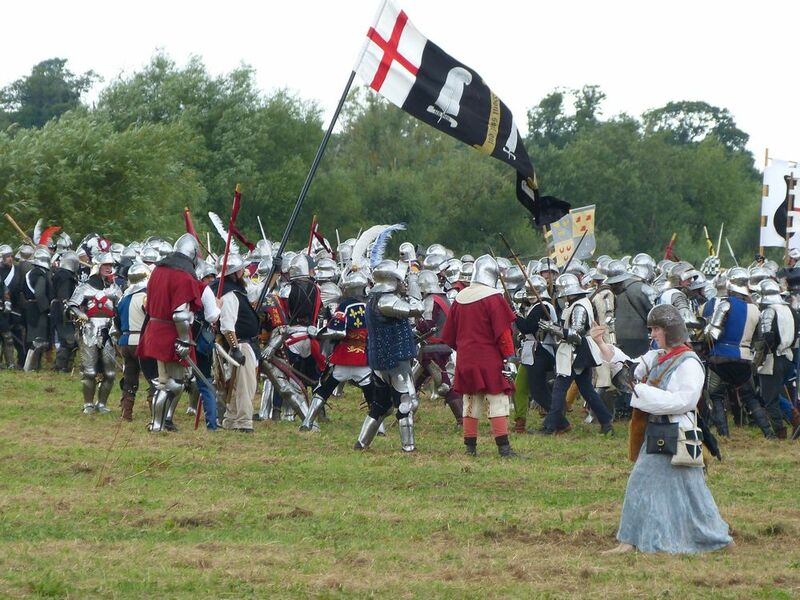 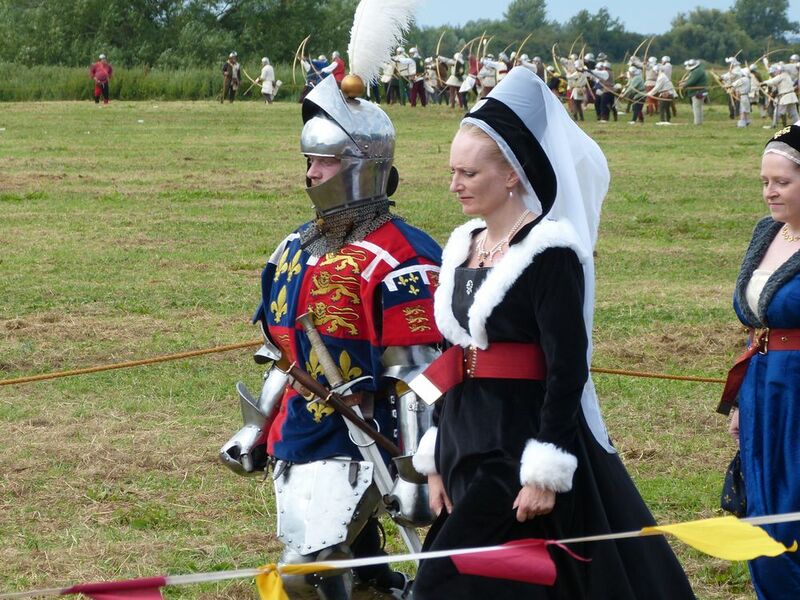 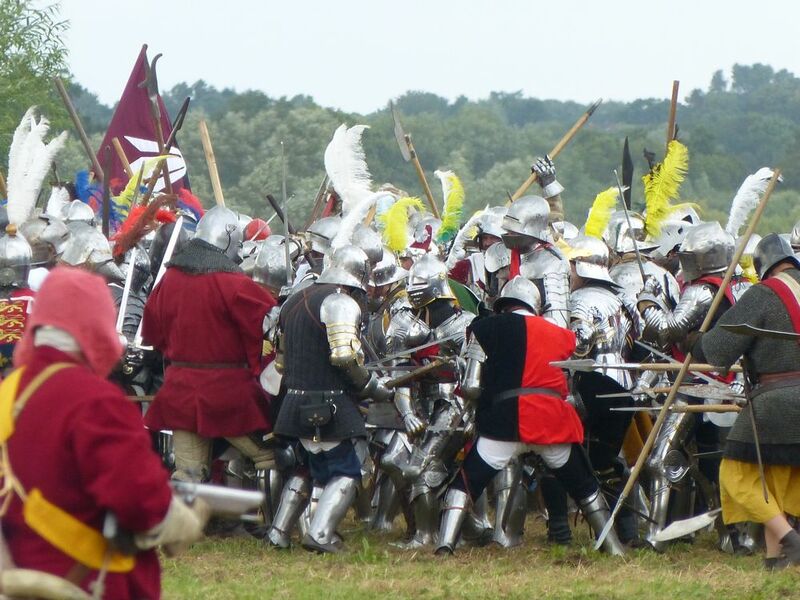 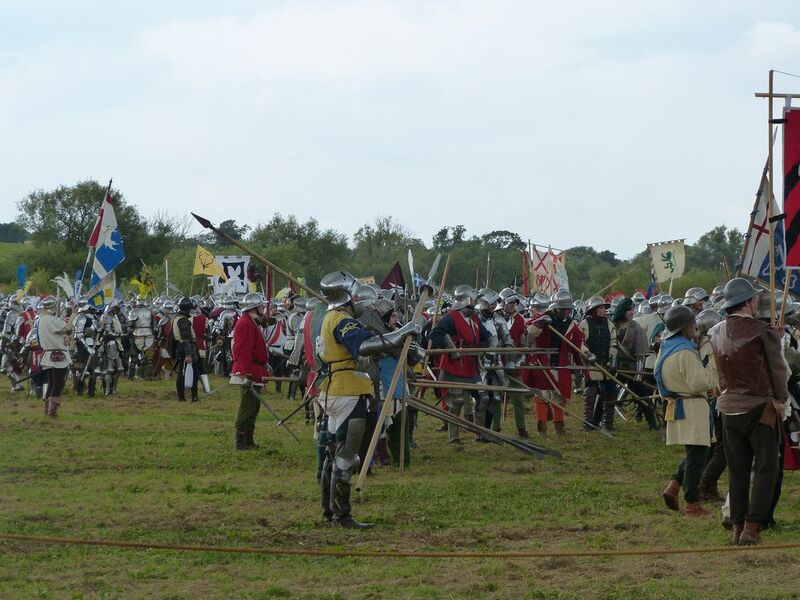 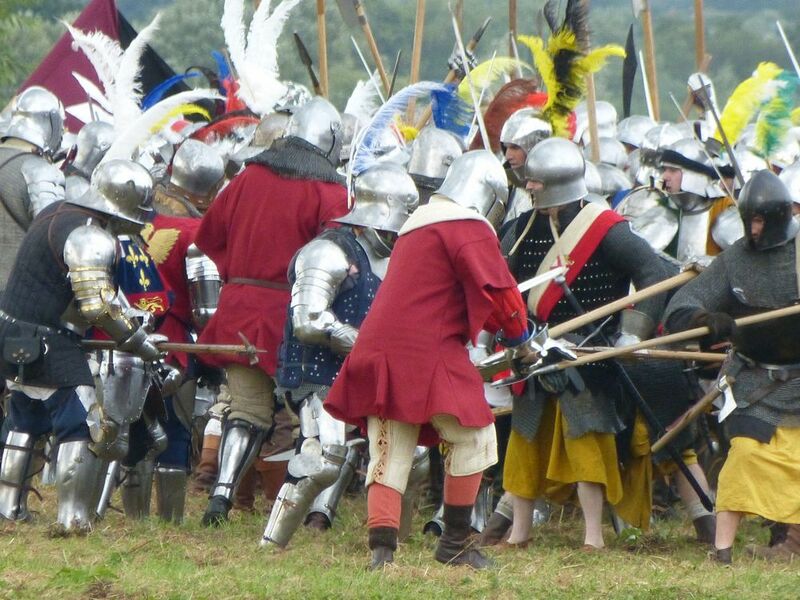 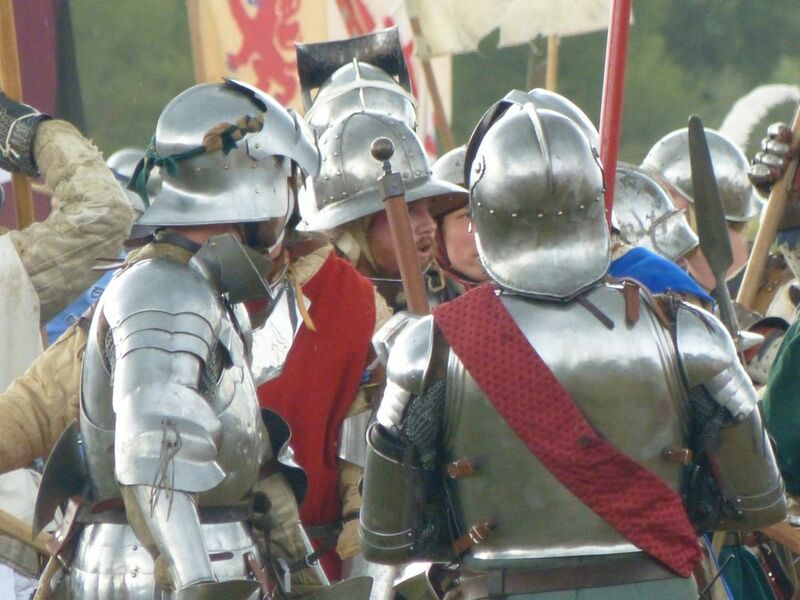 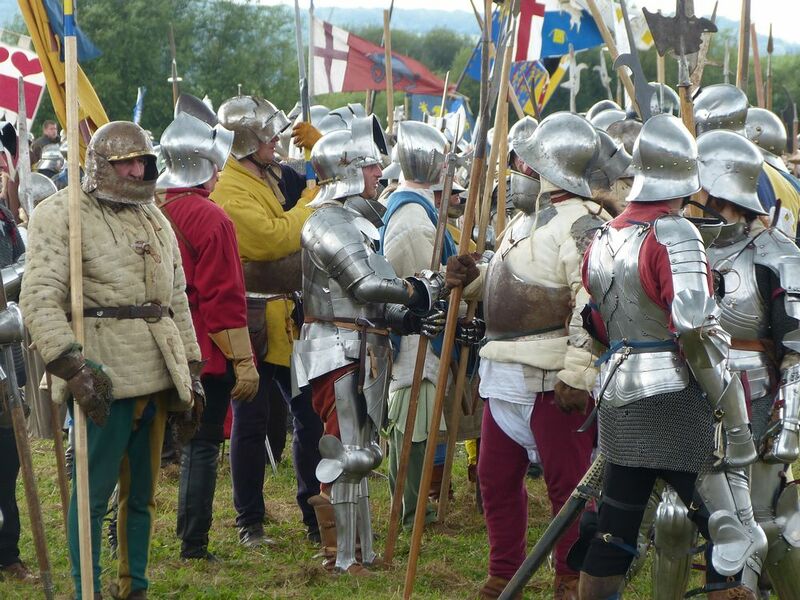 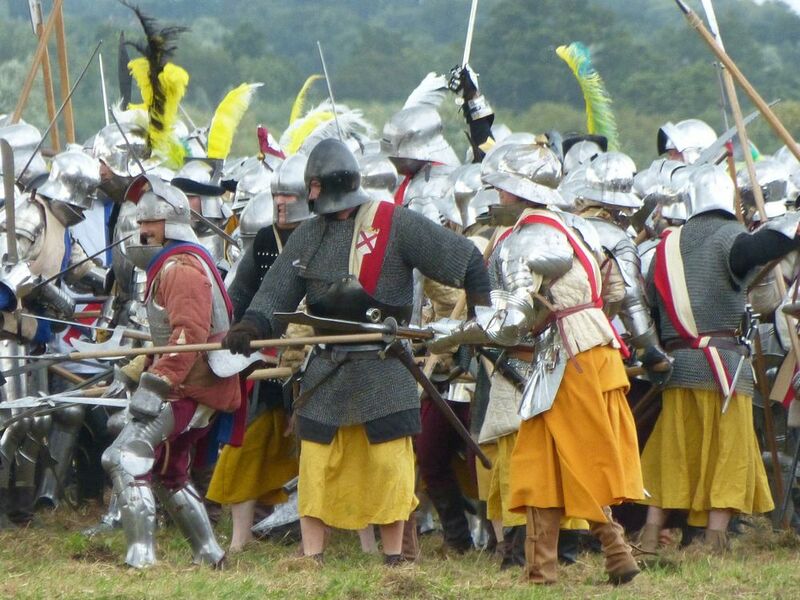 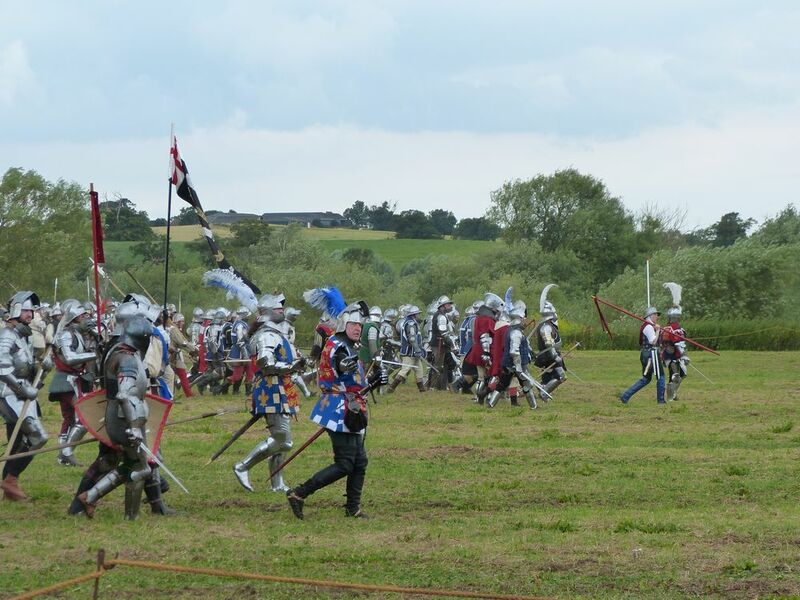 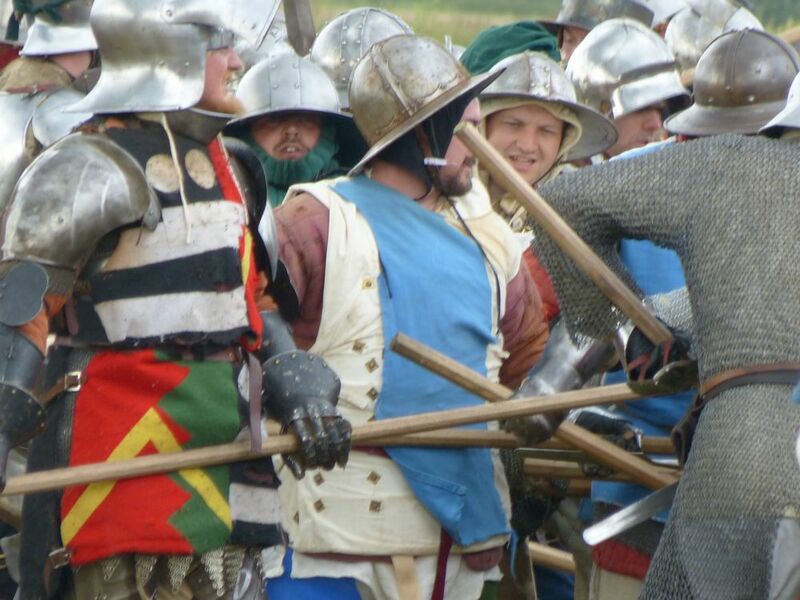 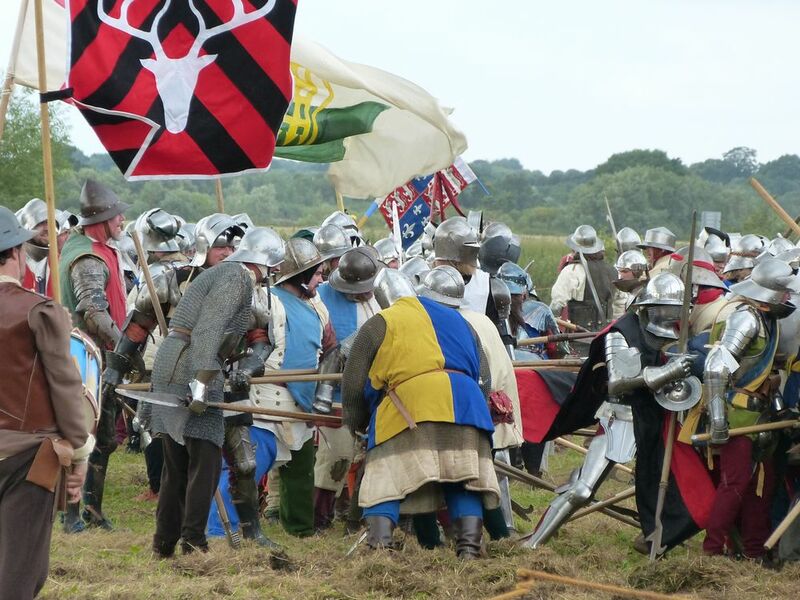 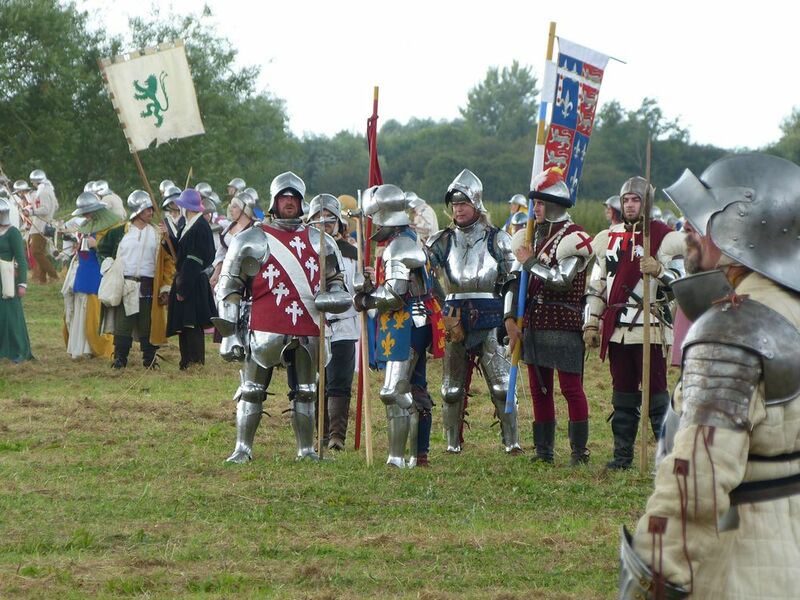 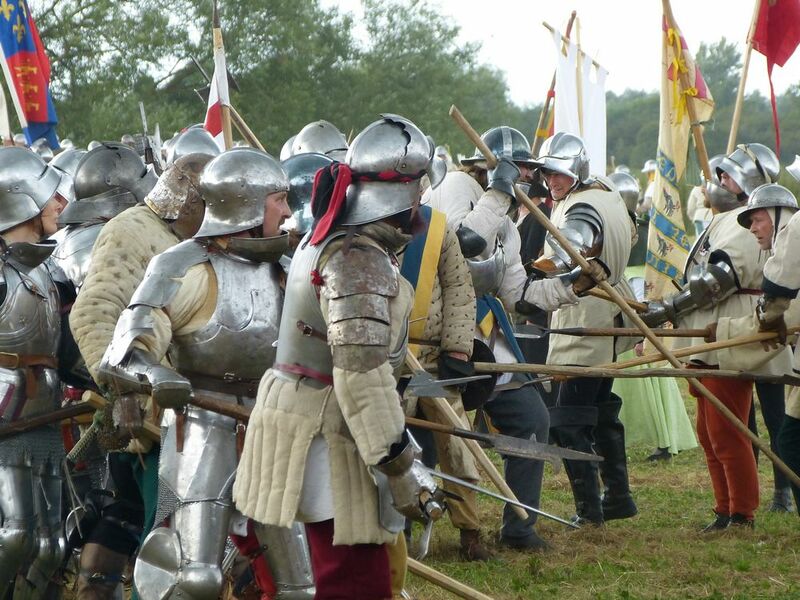 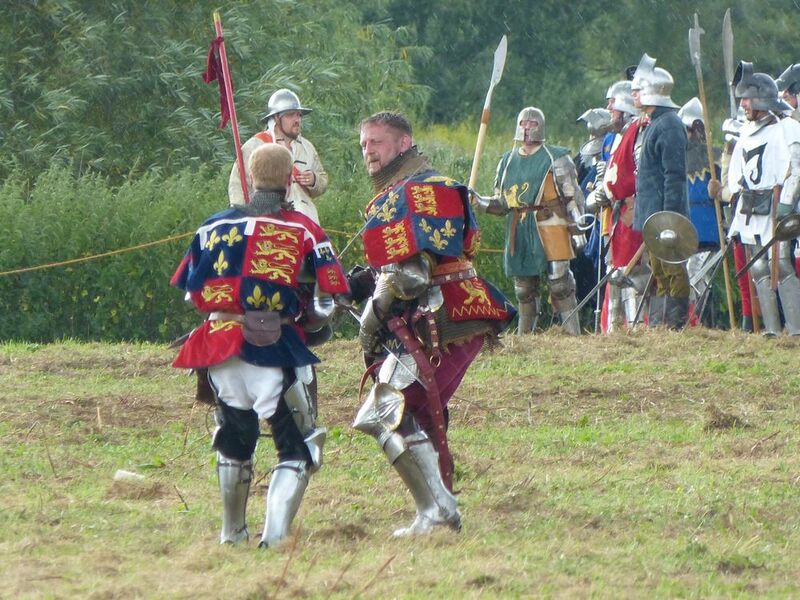 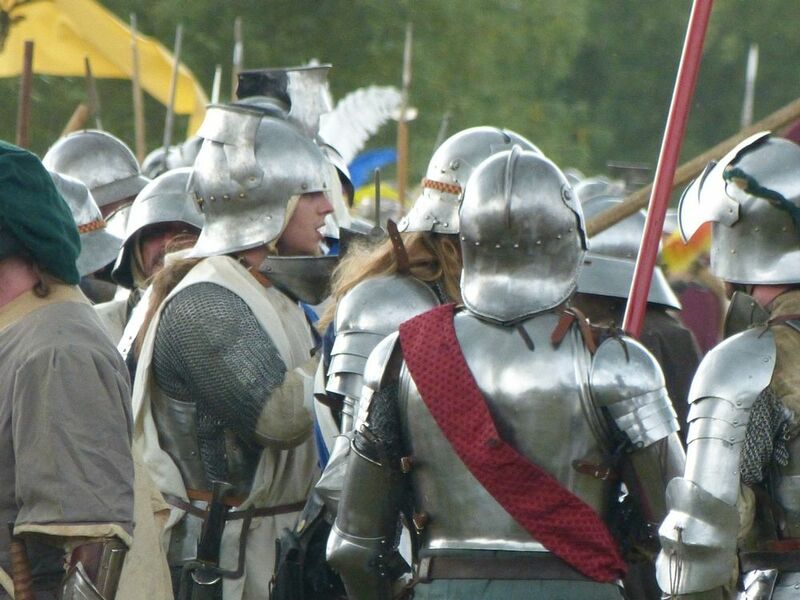 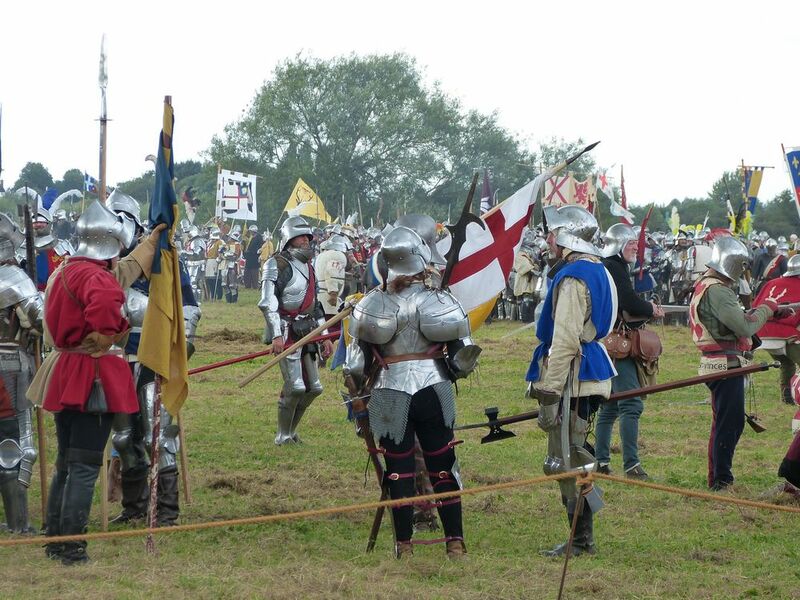 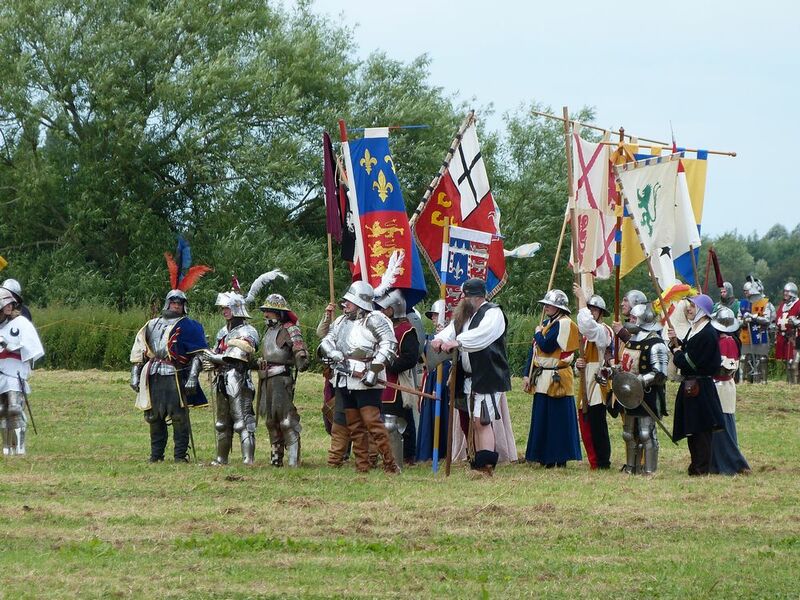 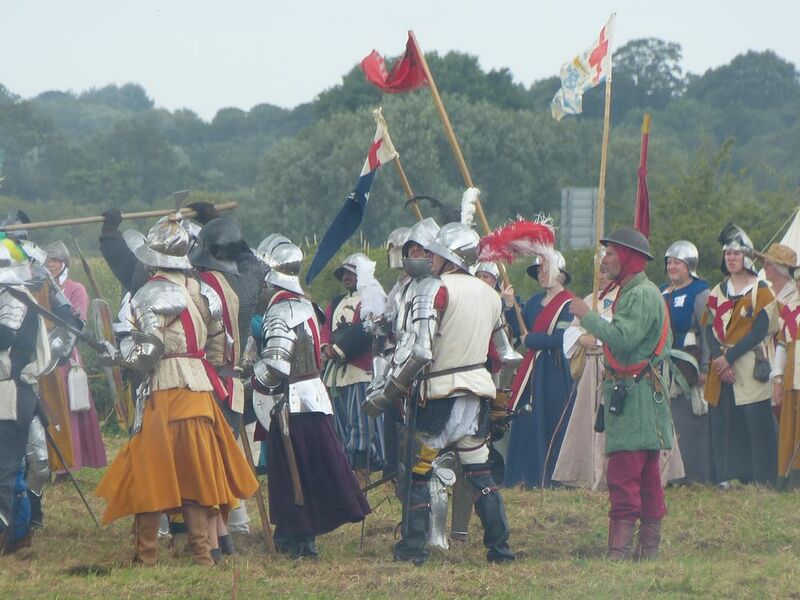 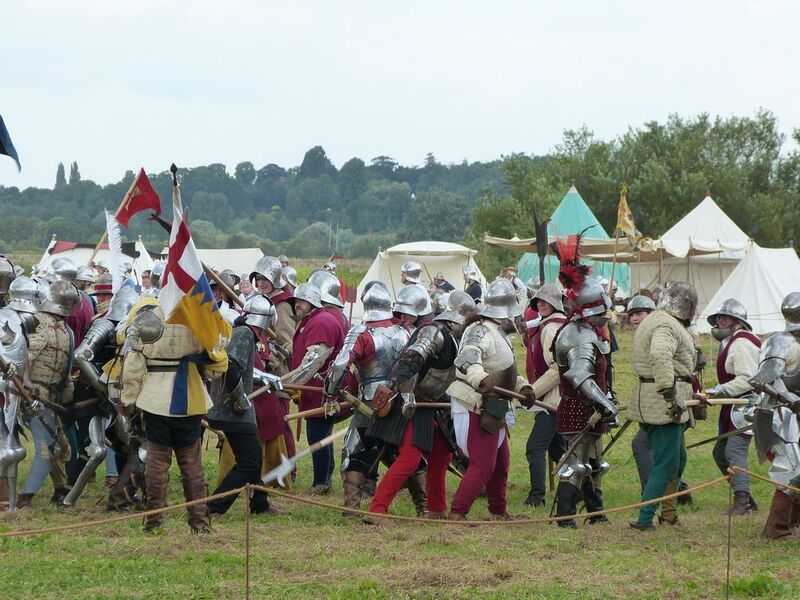 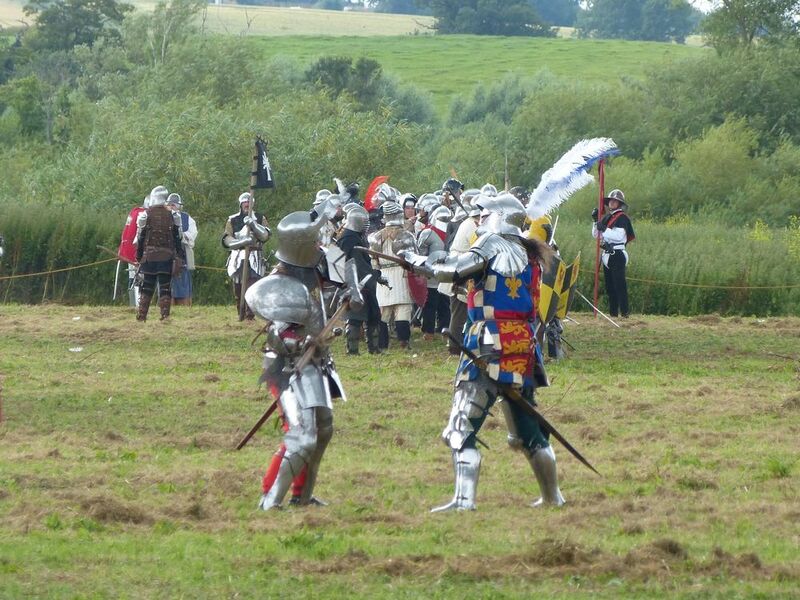 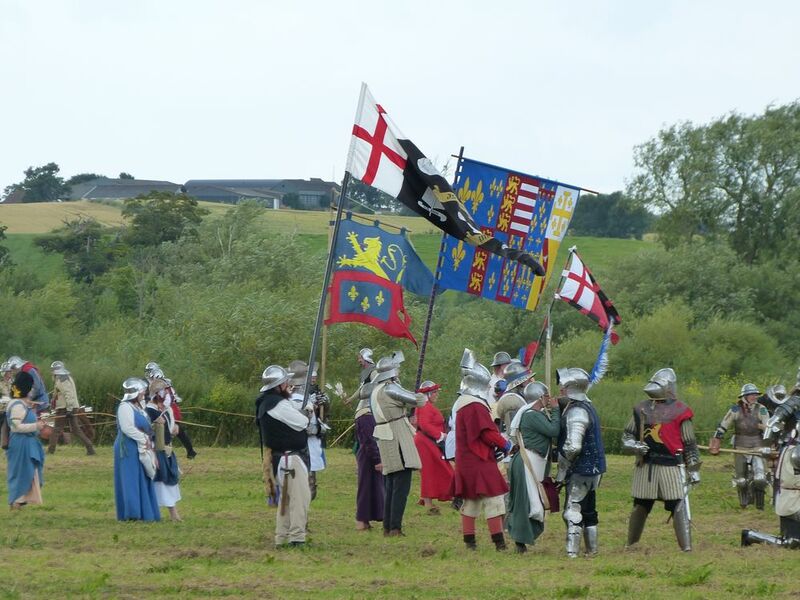 The battle re-enactment: Queen Margaret and her son, Prince Edward, arriving on the field of battle; the archers begin, then King Edward IV confers with one of his brothers. 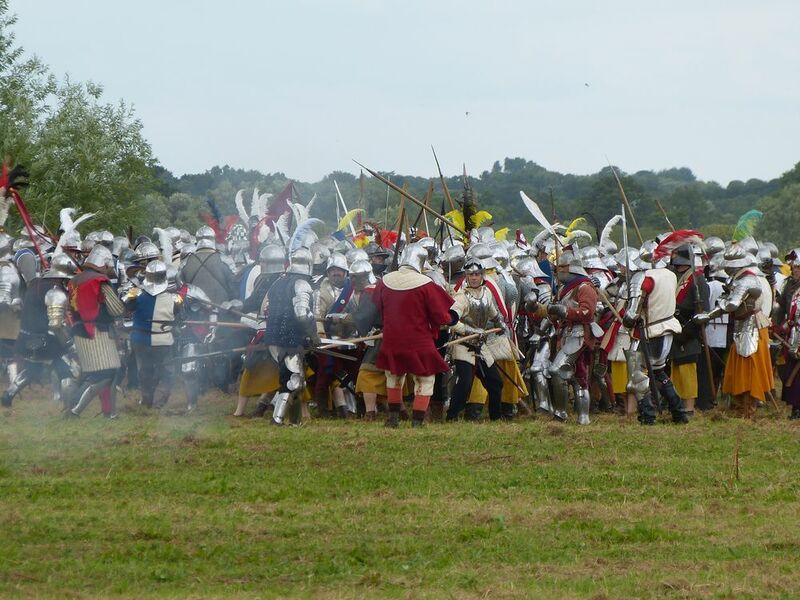 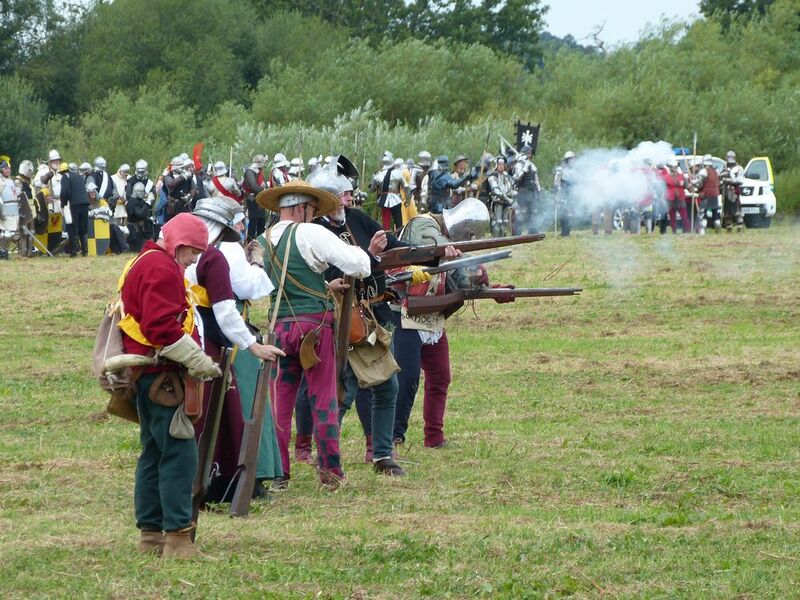 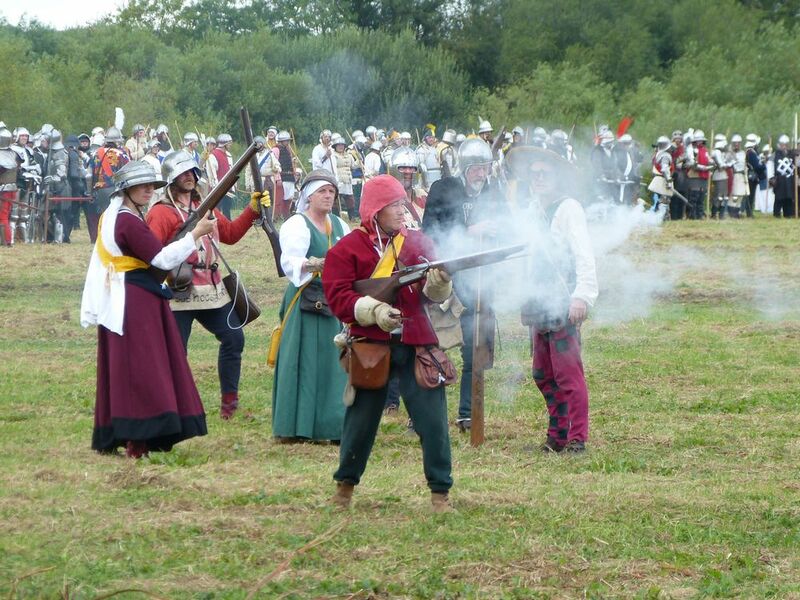 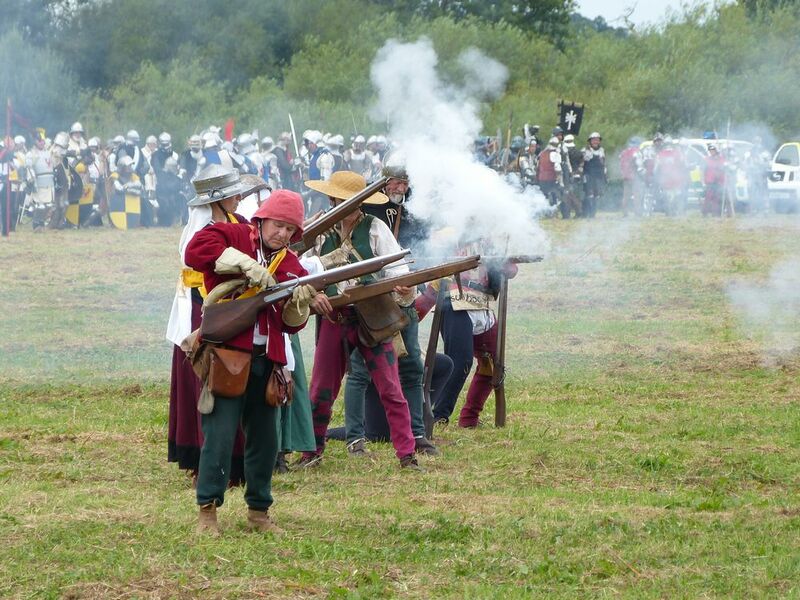 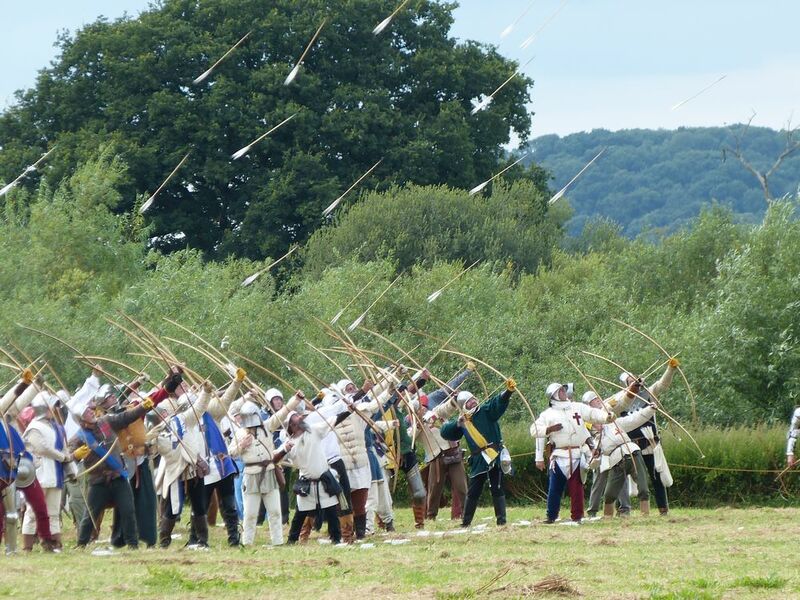 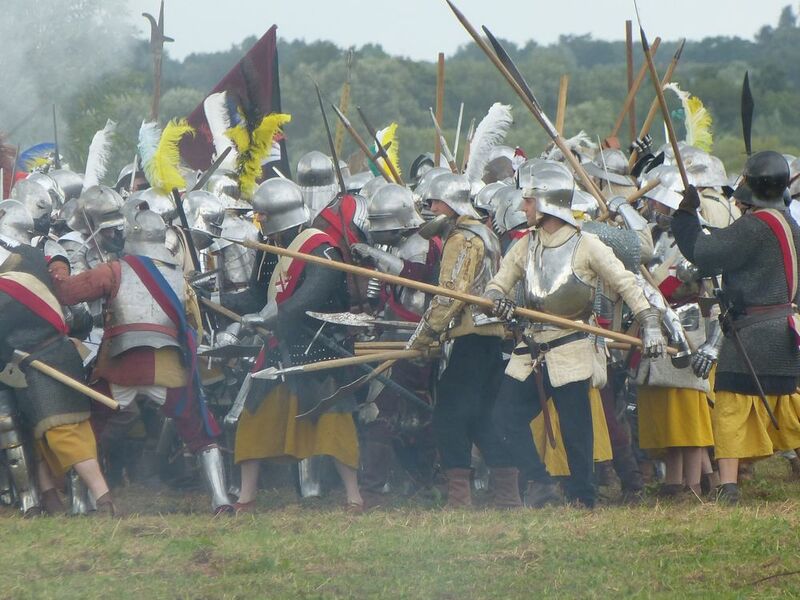 The battle re-enactment: the guns open fire and troops close in on each other. 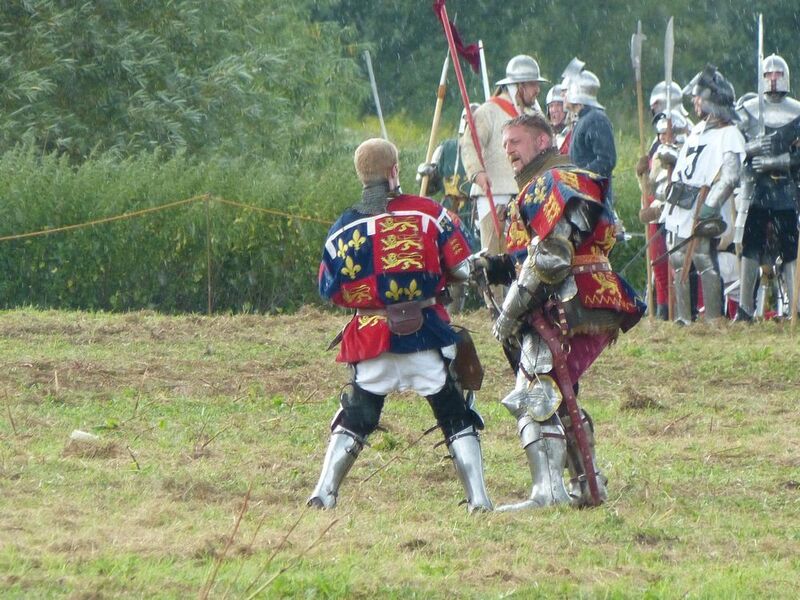 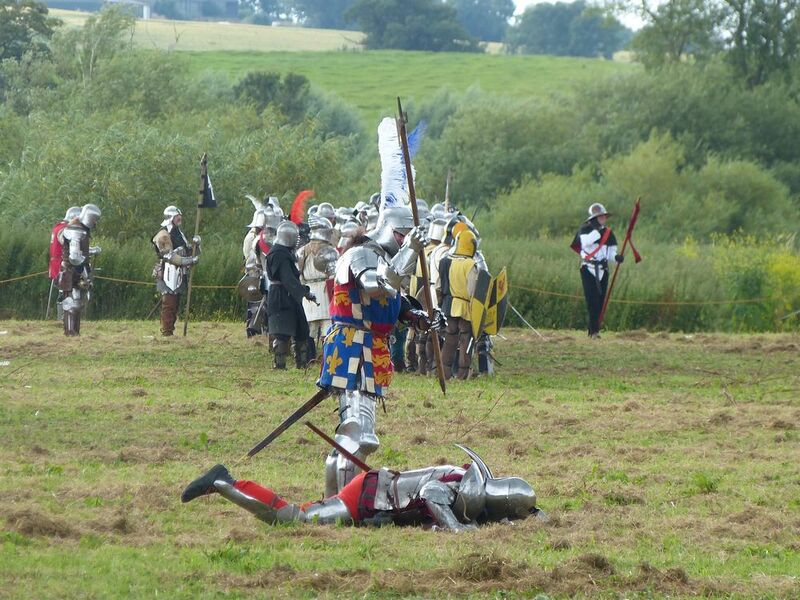 The Lancastrian Duke of Somerset kills his ally Lord Wenlock as he feels betrayed by lack of support. 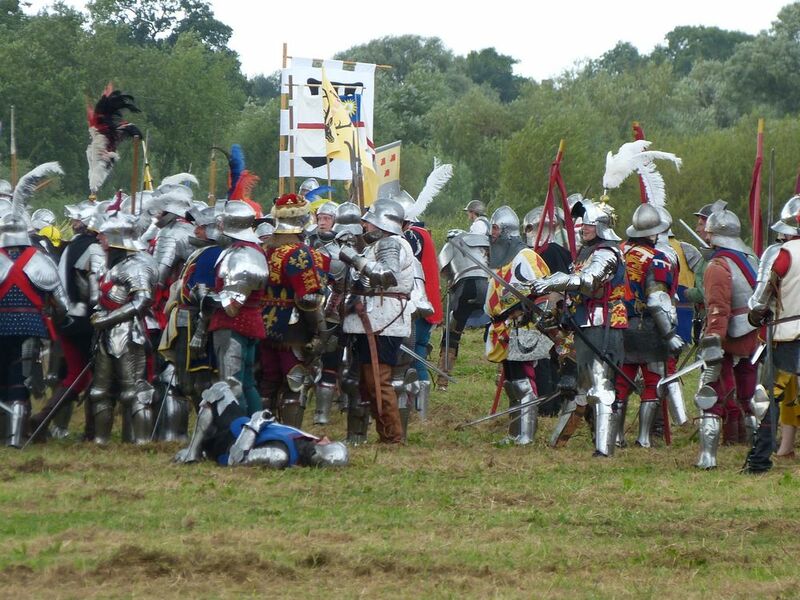 I left due to heavy rain.